Earlier this year, Veet ran a horrifically offensive ad campaign in the US titled ‘Don’t Risk Dudeness’. The narrative can be summed up as follows ‘being hairy = you’re a man’. As soon as I caught wind of it, I found the nearest phone box to change into my social justice warrior outfit (which turns out is just my pajamas but still) and searched for Veet’s Facebook page to unleash my distaste for their offensive campaign. However, when I got there, with fire in my heart and toast crumbs on my face, I was met with something unexpected. It turns out a lot of other people had the same idea. I was genuinely surprised, yet very happy, that others had decided enough was enough and told Veet just how they felt about their ideas of femininity. I thought maybe, just maybe, more of us were becoming self aware about the media we consume. However, in the wake of these new perspectives, with feminists using social media to spread the word like never before, there are always drawbacks. Somewhere along the line of this electronic chinese whispers, the message often gets lost. This often leads to failure to recognise intersectionality in feminism (see: white feminism) and providing anti-feminism groups fuel for their piss-baby bonfire. The rise of feminist spaces and discussion has not gone unnoticed by mass media either. Emotional manipulation is a tactic that has certainly never been beneath the advertising industry pretty much since time began (looking at you Dove), so, I’m not sure why I was surprised that feminist dialogue started to seep into the mass media cesspool. Okay, so, it’s problematic, but it’s not really issue if its bringing about awareness, right? Some time last year, a controversial little ad made its way on to our computer screens – ‘F Bombs For Feminism’. Now, if you have no idea what I’m talking about, get out from under your rock and let me explain. The company, so aptly named, ‘FCKH8’, released a campaign wherein little girls laid down the law about sexism. In theory, this sounds wonderful. In practice…. Without even beginning to comment on how unbelievably cringey the whole thing is, exploiting young children for the sake appearing provocative doesn’t sit too well with me. While some interesting points were made, it was over-the-top and to associate it with feminism makes the movement look bad. Although, this is just my gut feeling on the matter; some people loved it. Everyone is entitled to their opinion, of course, though I do feel somewhat cheated knowing that FUCKH8 is a for-profit company that doesn’t appear to use it’s profits to support activists, shelters or really anything that contributes to achieving equality or helping those in need. This pushes the boundaries of emotional manipulation by masquerading as a ‘good cause’. It abuses peoples anger at social inequality. The fact that this organisation is driven by profit, only lends itself to ‘faux dedication’ – summed up adequately by the dutifully donned ‘This is what a feminist looks like’ shirt. The pro-feminist garb was famously worn by politicians and celebrities alike (not David Cameron though, interestingly) – although it wasn’t long before there were accusations that the company was using a sweatshop in Mauritius – where the women working there were paid 62p an hour. The motives behind these accusations certainly raise even more questions, however, if they turn out to be true – what good is this brand of feminism for those sweatshop workers? There is undoubtedly a mutual feeling amongst feminists that wearing a slogan shirt does not necessarily qualify as advocacy. Does Ed Miliband wearing a ‘This is what a feminist looks like?’ make him a feminist? Is this reflected in his politics? Using advocacy, particularly with a female-centric angle, to apologise, cover up problematic behaviour or repair an institution’s image is starting to become a rather overused tactic. When a video of NFL Player Ray Rice beating his wife was leaked, the American football community was rocked by the domestic abuse scandal. Rice was later arrested and his career crumbled. Shortly -and somewhat conveniently- afterward, in aid of Breast Cancer Awareness Month the NFL painted everything pink – gloves, shoes, even the cheerleaders pom-poms. It felt as if the NFL were trying to save their reputation by not looking like a league of anti-lady gentleman. But with all that hard reputation saving they did, it should be known that of all the pink NFL merchandise sold, it was reported that only 8% went to Breast Cancer charities in the US. Ripping people off never looked so pretty. 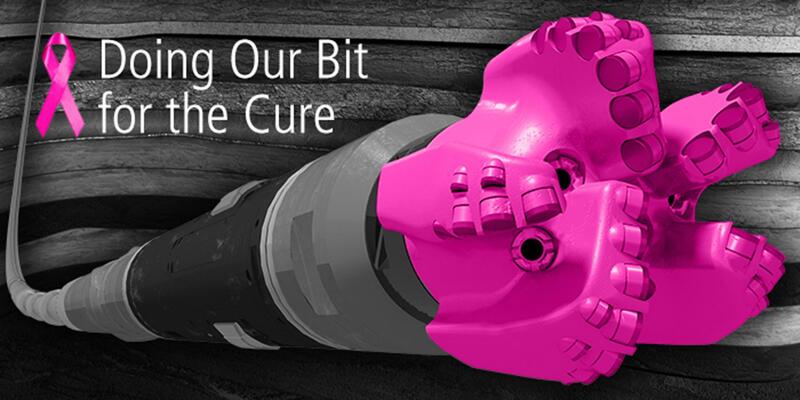 If you think I’m reading into this a little too much, let me just remind you of the fact that the fracking company Baker Hughes teamed up with a Breast Cancer Organisation in the States and painted their drill bits pink. Fracking drills. Honestly. It’s undeniable that this controversial energy extraction company is trying to fluff up their image with faux humanitarianism. Feminism and supporting women isn’t a trend you can buy into, or a way to gloss over your past discrepancies. I’m not saying we shouldn’t show your support and our passion for equality with feminist clothing or cute buttons, just don’t buy into the hype – recognise when someone is exploiting your good nature.